Derek Anderson began his career as an educator in the Howard County Public School System in 2004. Mr. Anderson has previously served at Swansfield Elementary School as a general education classroom teacher for 3 years and elementary technology teacher for 4 years. In 2011, Mr. Anderson transferred to Jeffers Hill Elementary School where he served as an Instructional Team Leader until 2013. Mr. Anderson opened Ducketts Lane Elementary school as an Assistant Principal and served in this role from 2013 to 2017 before being named Principal of Longfellow Elementary School in preparation for the 2017-2018 school year. Mr. Anderson earned a Bachelor of Arts degree from the University of Maryland, Baltimore County, as well as a Master of Science from Johns Hopkins University. Vanya Jackson began her professional journey in education at Whetstone Elementary School in Montgomery County Public Schools in 2003 as a 2nd grade teacher. In 2006, Mrs. Jackson joined the Howard County Public School System as a 1st grade teacher at Bryant Woods Elementary School. In 2010, Mrs. Jackson transferred to Cradlerock Elementary School, where she became an Instructional Team Leader and Teacher Development Liaison, teaching 4th grade and 3rd/4th grade Teacher of Record for Math and Reading. In 2015, Mrs. Jackson was promoted from classroom teacher to Assistant Principal of Laurel Woods Elementary School. In 2018, Mrs. Jackson was transferred to Longfellow Elementary School, serving as the current assistant principal. Mrs. Jackson holds a Bachelor of Arts degree in Elementary Education from Mars Hill College, Mars Hill, North Carolina, as well as a Master of Science degree in Curriculum and Instruction, along with a certification in Administration. Mrs. Jackson plans to pursue her doctoral work soon. To cultivate a community of learners where diversity is valued, equity is emphasized and every student, regardless of background or circumstances, has access to a high-quality education within a safe and nurturing environment. This will help me, my class, and my school be the best that we can be! The Howard County Public School System (HCPSS) partners with families and the community to ensure that all students develop the knowledge and skills needed to be successful in the 21st century. The school system’s mission states that HCPSS expects each student to graduate ready “to participate responsibly in a diverse and changing world.” Although there is no single pathway to college and careers, achieving these readiness indicators as students progress from prekindergarten through grade 12 gives students the college and career advantage. 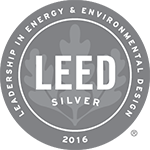 Longfellow Elementary School was given a LEED certified Silver Status in 2016. LEED is an internationally recognized green building certification system developed by the U.S. Green Building Council. Longfellow Elementary School is among a small percentage of Howard County and Maryland schools to have earned LEED certification, which recognizes a commitment to environmental sustainability. Fast facts about Longfellow ES listing special programs, total enrollment, accomplishments and more.